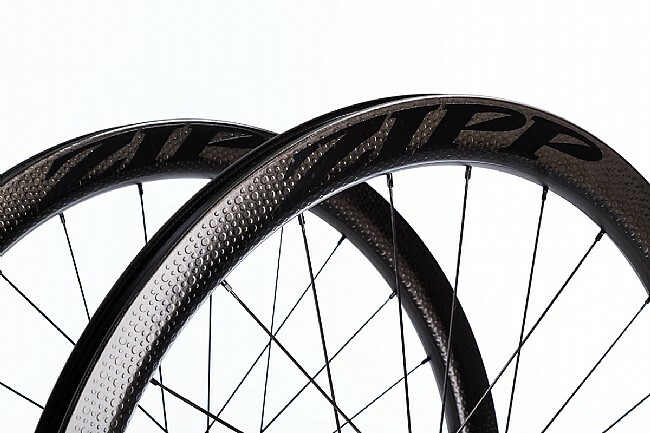 The Zipp 303 Firecrest Tubeless Carbon Clincher wheelset takes their industry leading 45mm deep 303 Firecrest rim and redesigns it specifically for a tubeless setup on disc-brake equipped bikes. Delivering the same industry leading crosswind stability and low aerodynamic drag with AeroBalance™, this new 303 Firecrest provides even lower drag when paired with 25c or wider tires that rider's demand today, providing a smoother transition between rim and tire. The new 303 Firecrest is further optimized for disc brake-equipped bikes by the versatile 77/177D hubset, featuring swappable end caps to work with quick-release or thru-axles, whether 12x or 15x – 100mm, 135 or 142mm long. Designed from the start to be ran tubeless, this rim features a rim bed made with internal ridges to lock tire's in place, even when ridden at low pressures. With an internal diameter of 21mm, this rim was designed to accept and facilitate wide tubeless tires. 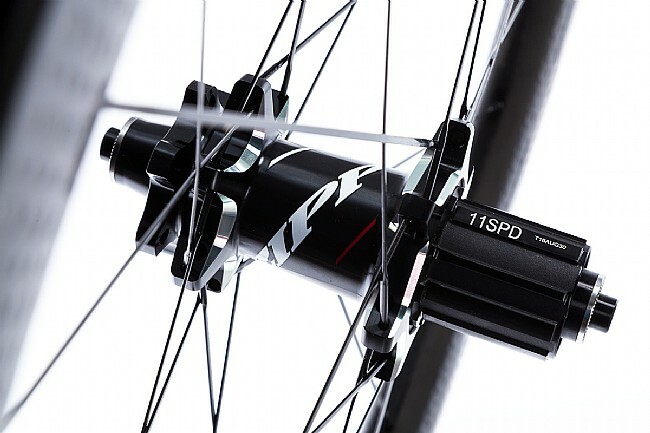 The rims also feature a new carbon fiber layup to further reduce weight without sacrificing durability, allowing these wheels to fly up the steepest climbs with ease. 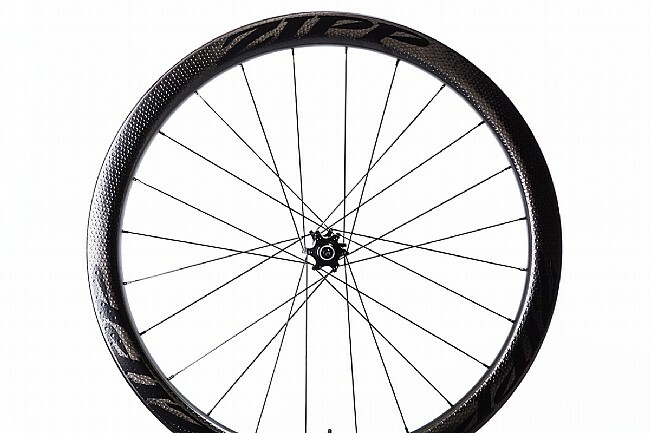 24 Sapim CX-Ray spokes front and rear keep the wheels feeling stiff and responsive. The Zipp 303 Firecrest Tubeless Disc Brake Carbon Clincher includes the Zipp Tubeless valve extender and valve-core wrench, Zipp rim tape (factory taped), Zipp Tangete quick-release skewers, Zipp thru-axle end caps. Compatible with Shimano/SRAM 10/11-speed drivetrains. Claimed weight: 760g front / 885g rear / 1645g wheelset. 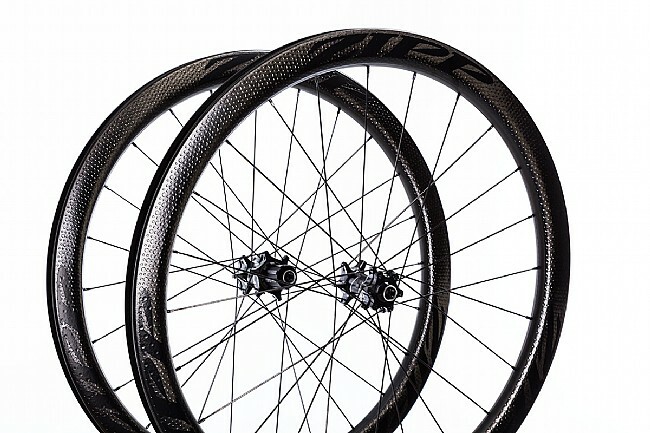 Redesigned disc-specific tubeless 303 Firecrest rim is the industry leader in aerodynamics. 24 Sapim CX-Ray spokes front / rear. 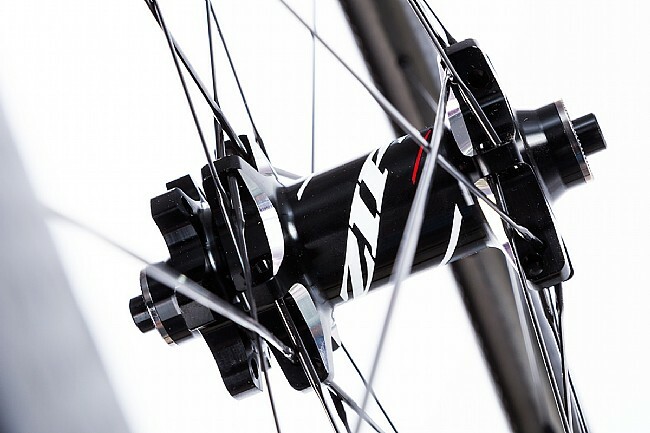 Disc-specific Zipp 77/177D hubset features swappable end caps for QR or thru-axle. End caps are compatible with 12x100mm or 15x100mm front, 12x135mm or 12x142mm rear thru-axles.